Eduard's older photo-etched set plus Aber's exquisite metal barrel helped enahnce the 1990s vintage Zvezda kit. 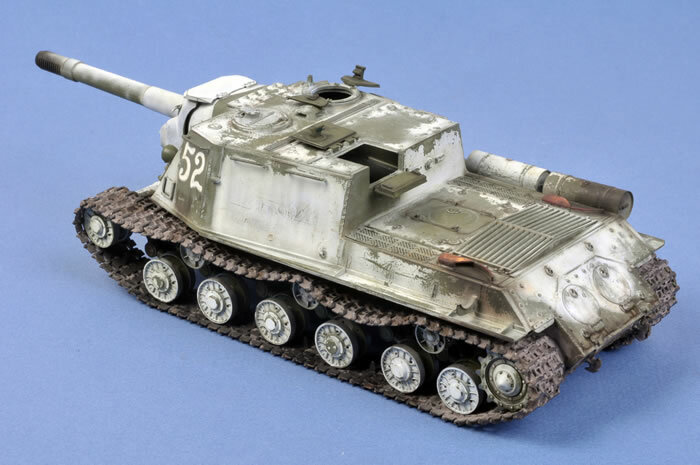 Thanks to Creative Models Australia, I also added workable Modelkasten tracks. There was a bit of old-fashioned scratch building involved too. 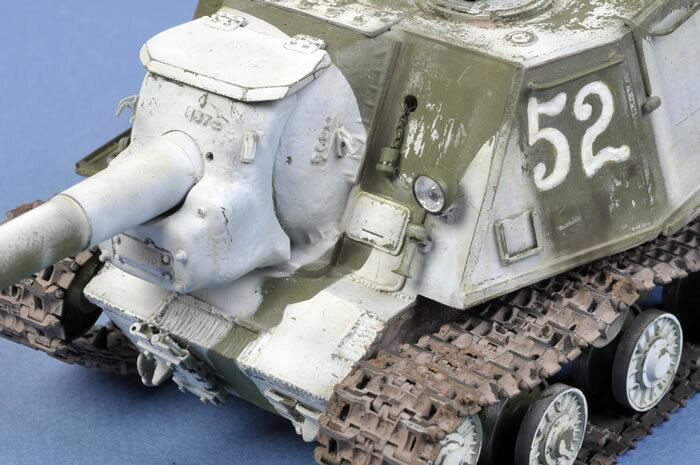 You can see some photos of the model before paint by following this link. 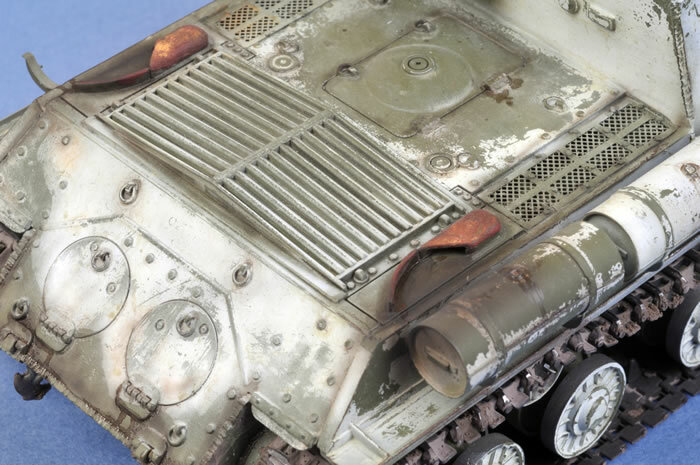 The construction of both models featured in a detailed articles in Issue 45 of Model Military International magazine. This issue also included a "Think Tank Lite" reference piece with some background and historical photos. 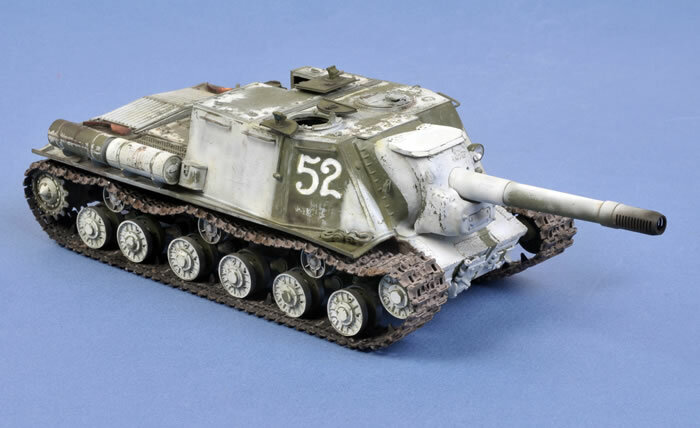 Painting and finishing the Zvezda kit will be covered in a Feature in Issue 50, due out on 6 May.